The Graduate Aptitude Test in Engineering (GATE) is an all-India examination that primarily tests the comprehensive understanding of various undergraduate subjects in engineering and science. 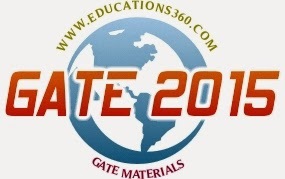 GATE is conducted jointly by the Indian Institute of Science and seven Indian Institutes of Technology (IIT Bombay, IIT Delhi, IIT Guwahati, IIT Kanpur, IIT Kharagpur, IIT Madras and IIT Roorkee) on behalf of the National Coordination Board – GATE, Department of Higher Education, Ministry of Human Resources Development (MHRD), Government of India. The GATE score of a candidate reflects the relative performance level of a candidate. The score is used for admissions to various post-graduate programs (e.g. Master of Engineering, Master of Technology, Doctor of Philosophy) in Indian higher education institutes, with financial assistance provided by MHRD and other government agencies. Recently, GATE scores are also being used by several Indian public sector undertakings (i.e., government-owned companies) for recruiting graduate engineers in entry-level positions. It is one of the most competitive examinations in India.